For this weeks Photo Challenge at “The Daily Post” I picked again a photo taken in Paris, France. This weeks challenge is called “Extra-Extra” and asks us to show something unexpected in a photo. 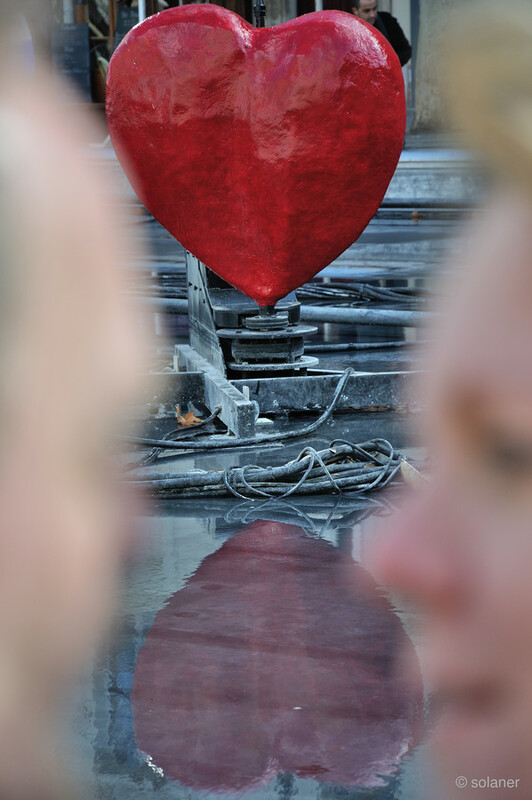 I was about to take a photo of the big, red heart in the fountain near by the Centre Pompidou and its mirror in the little water. In February there is usually no water in a fountain to save the pipes from bursting because of the cold that makes water freezing. While preparing for my photo couple started to kiss not being aware of me :-(. They ruined my photo! But, keep in mind, being in the City of Love photographing a kissing couple with a big, red heart in the background, is much better then the original idea!